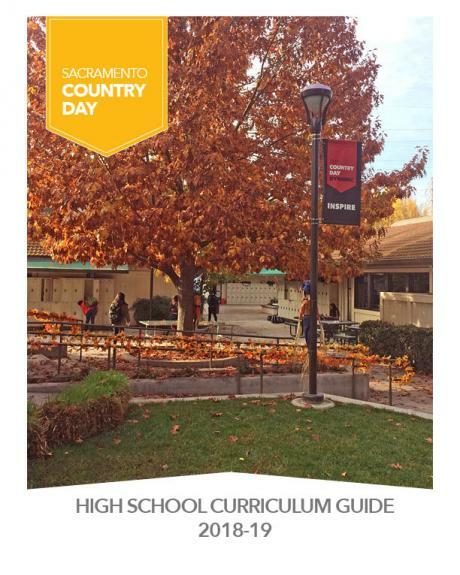 The Sacramento Country Day High School provides a challenging, comprehensive college-preparatory curriculum. 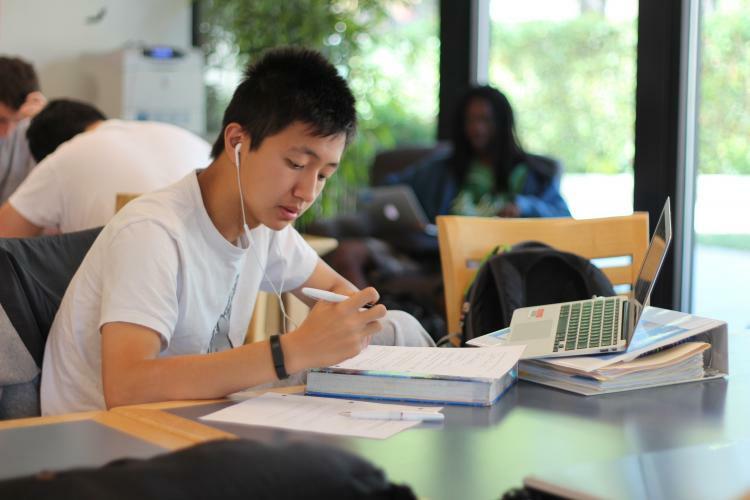 Students engage in a program thoughtfully designed to prepare students for success in college, career and life. Our philosophy of education includes far more than simple content knowledge. Our students gain a foundational education that embraces 21st century skills such as critical thinking, collaboration, communication, and creativity. 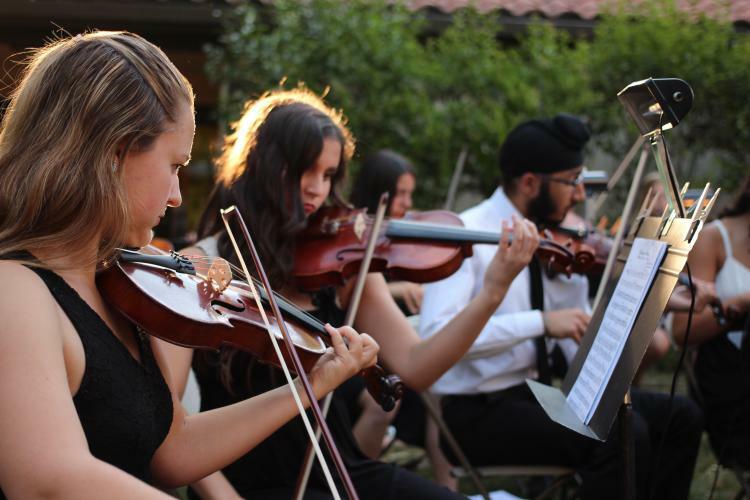 We encourage our students to develop the full range of their capabilities—intellectual, physical, creative, social, and moral. We give our students the practical knowledge and experience to handle today’s and tomorrow’s technological demands, while we cultivate in them the habits and skills that will enable them to make the best use of their abilities. In addition, we strive to educate the heart of each student, emphasizing the values of responsibility, compassion, kindness, and respect. See below for several program highlights. 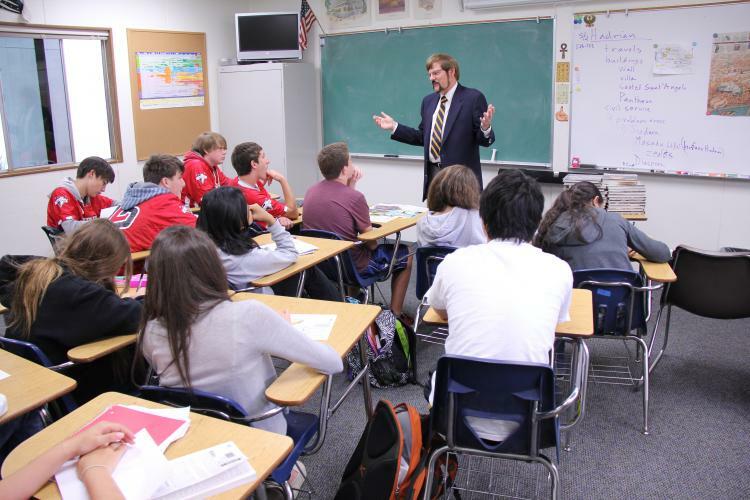 The English program at Country Day is organized around the principle of spiraling skills, building on the skill set students learn in Middle School. All courses expect demanding reading, analytical discussion, and frequent composition, and emphasize literature’s varied forms and universal themes. The school expects students to improve constantly their means of expression, both in style and in content. They should gain increasing control over language, leading toward the clear statement of increasingly complex relationships in the literature they read, and in describing and evaluating the complex world around them. The goal of the Mathematics Department is to have all of its students analyze and communicate information in a mathematical context. All students are capable of reading, writing, listening, and speaking about ideas in a mathematical sense. They have the ability to solve unfamiliar problems; think and reason logically; think algorithmically; collect, organize, and analyze data; become mathematically adept in a technologically complex world; and communicate effectively in mathematical terms. 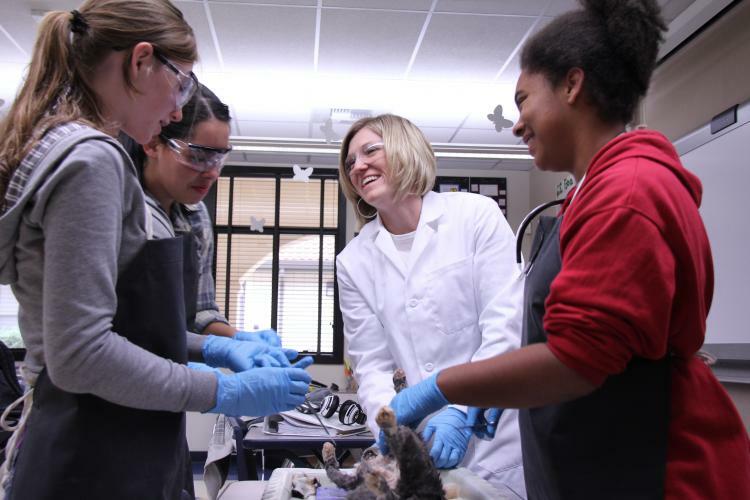 The High School science program encourages our students’ curiosity about the natural world while increasing their ability to reason scientifically. The primary goals are to develop a thorough understanding of the core disciplines, to train students to use the tools of science and technology, to prepare them for success in rigorous college courses, and to create the foundation for a lifelong appreciation of science. Broad exposure to different eras, cultures, and viewpoints is important to the history/social science department. Therefore, we emphasize historical inquiry; geography skills; awareness of current affairs; and good written, oral, and digital communication skills in every class. All freshmen take Comparative World History, exploring both western and non-western ancient and medieval civilizations as well as European colonization of Africa and Latin America. Sophomores take World Cultures, which brings the students into the more modern world, again exploring both western and non-western civilizations and nations, particularly in Asia and the Middle East. 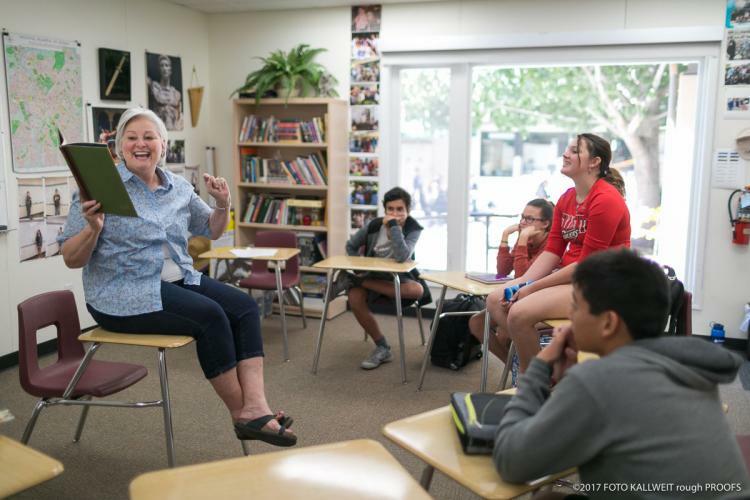 Choices begin in junior year with the option of regular college-prep or AP U.S. History, followed by senior offerings in AP European History, AP Art History, or a history elective such as the History of World War II. All courses are UC certified, fulfilling the History/Social Science “A” requirement. 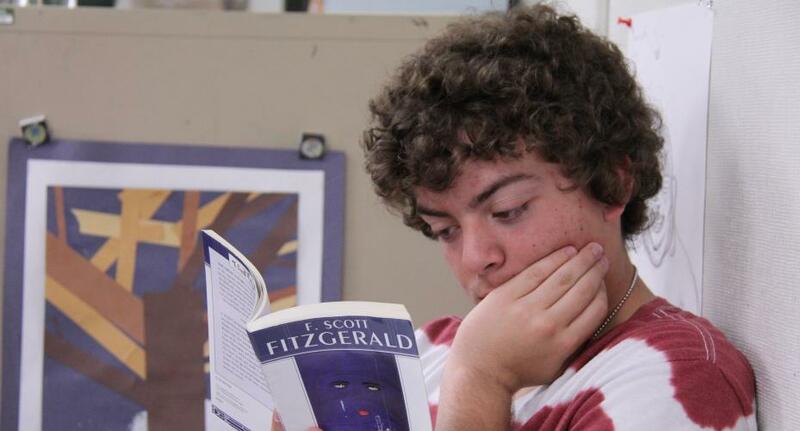 All Advanced Placement classes are College Board certified. The School is committed to providing all students with access to high-quality technology in an academically rigorous environment that develops their ability to communicate, process information, and be ethical as well as productive citizens in an increasingly global and digitized world community. Courses such as Inventing Computer Games and AP Computer Science A provided specialize instruction to interested students. Through the 1:1 laptop program, all students learn word processing, spreadsheet, and multimedia presentations within the context of their classes. The physical education curriculum coordinates and facilitates the process of guiding students to lead healthier lifestyles. The content articulates the knowledge, skills, and confidence students need to maintain meaningful physical activity throughout their lifetime; and the course sequence allows for students to make a successful transition from the physical education instructional program to participation in physical activities during adulthood. Students develop proficient movement skills in each area of physical education, expand their capabilities for independent learning, and examine practices that allow for sound decision-making to enhance successful participation. The curriculum provides a framework that allows for individual responsibility and flexibility by having the students design their program with a variety of physical activities and sports that they enjoy and may wish to participate in for years to come. The classes are organized by trimester. 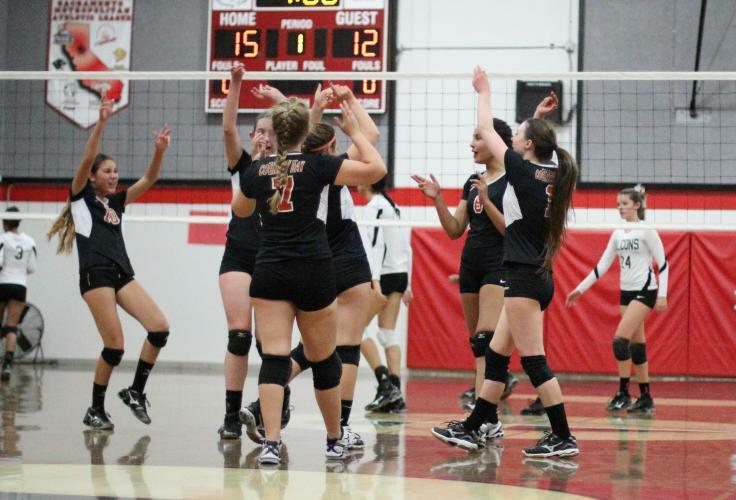 Besides taking physical education classes, students can complete their graduation requirement through participation on athletic teams and/or through the independent physical education program. 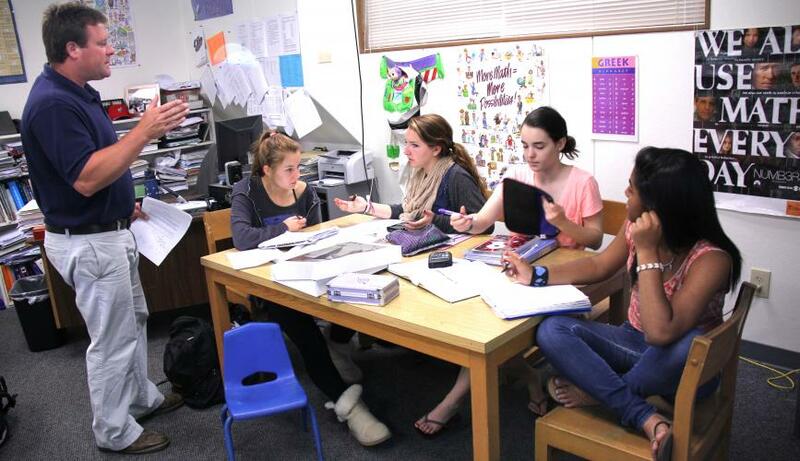 Garage Band is an elective class offered in Country Day’s High School. Recording sessions are held in the Connor M. Burns (‘20) Memorial Sound Studio on campus. Check out this year’s Garage Band recordings. Immigrant Song - SCDS Garage Band from Sacramento Country Day School on Vimeo. Teen Spirit - SCDS Garage Band from Sacramento Country Day School on Vimeo.